Less than a month ago, Callie bought a book. Unbeknownst to her, that simple act would be the start of the single worst buyer experience she’s ever encountered, as she found herself subscribed to a membership she never signed up for, with no clear way out. How Big Does My Membership Need to Be In Order to Be Successful? Many people measure success according to vanity metrics. How many followers you have rather than how much engagement you get; how much your turnover is rather than how much net profit you make; how many members you have rather than their average lifetime spend. But is success as a membership site owner all about how many members you have? Or is it about the money you make? Or the lifestyle your membership affords you? How Do I Know That I’m Delivering Enough Value in My Membership? It can be difficult to judge whether or not you’re delivering enough value in your membership for the price you wish to charge. That’s mostly because “value” is an abstract concept. There is no scientific formula behind it; it’s not something you can accurately measure – it’s entirely subjective, based entirely on individual perception. So how do you know if you’re getting it right? It is even possible to know?! While the majority of online memberships tend to fall into the same 2 or 3 models in terms of how they deliver their premium content; there is much to be learned from those membership sites that do things a little differently. In this episode I discuss 4 content strategies for memberships that are fairly uncommon but certainly effective, and discuss ways in which you could incorporate aspects of those strategies into your own business. Should Your Membership Offer Multiple Different Levels? One of the key decisions to be made when planning a membership is whether to offer multiple membership levels or a single ‘all access’ option. While we always advocate for simplicity, there are definite pros and cons to consider. In this episode I discuss the key things you need to consider when deciding whether to have multiple levels in your membership, and provide my top tips for making this strategy work. And I also share a ‘middle ground’ for people who prefer to stick with a single level. Considering starting a membership website in 2019? In this episode I look at 6 types of people who are especially well suited to starting a membership site, and discuss some of the various strategies they could consider. It’s easy to get carried away when creating a membership website. We often turn to other memberships for inspiration, and as a result end up with a wishlist of shiny bells and whistles that we absolutely MUST have for our own website. And the end result of cramming all of those features into your membership is a convoluted frankenstein’s monster of a website that’s a pain to manage and an even bigger nightmare for members to use. It’s not just the tech side of things that people tend to over-complicate; we see the same thing happening with marketing, sales and overall business strategy too. In this episode of The Membership Guys Podcast, I warn against adding too much complexity to your membership business and discuss the benefits of embracing simplicity. The “one to many” aspect of a membership site is what makes it such an attractive business model. The ability to leverage your time, skills, experience and expertise in order to serve hundreds or even thousands, without having to deal with issues of increased expensive, strained resources or limited capacity that can come when trying to grow other types of businesses make memberships one of the most scalable models there is. 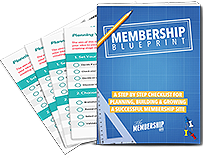 Much of what we discuss here at The Membership Guys revolves around building and growing a successful membership. But once you’ve reached a point where you can call your membership “successful” – what’s next? 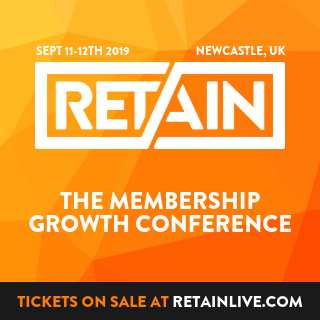 For many, the continued growth of their membership – increasing member numbers and revenue – is the be all and end all of their ambitions. And that’s a perfectly valid goal. But for those who want more, what does that “next level” look like? In this episode, I discuss 5 ideas for how you could take an already successful membership business to even greater heights. Running a membership requires you to get into the routine of regularly showing up, serving your members by creating valuable content, interacting in your community, answering support queries and so on. These day to day habits are the cornerstone of any successful membership – however when developing those positive habits it’s all too easy to also develop bad ones. In this episode, I highlight some of the more common bad habits we see membership owners falling foul of, and give my top tips for breaking them.